In pelvic reconstructive surgery, the school of thought that fascial defects are a primary etiology for development of pelvic organ prolapse has led to increased graft utilization to augment fascial strength in an attempt to promote repair longevity and permanence. Grafts serve to strengthen attenuated tissue and enhance healing in areas with compromised tissue integrity. 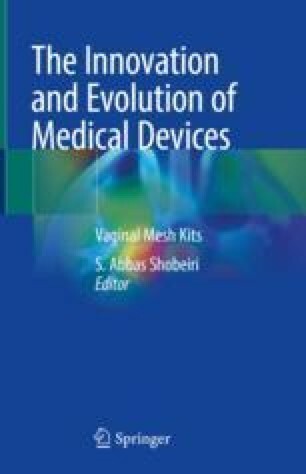 However, the use of synthetic mesh or biologic grafts in pelvic organ prolapse surgery is associated with unique complications not seen in repair with native tissue including pain that can be debilitating for patient. Pain can be a result of direct nerve injury during mesh placement or delayed neuropathy due to fibrosis, or mesh shrinkage. There is also a human factor involved in reactivity to mesh in vivo. Some individuals are “high responders,” and others are “low responders” in the formation of fibrous tissue as stimulated by the presence of the mesh. Treating pain complication after mesh placement requires complete work up and can be challenging in presence of neuropathy.